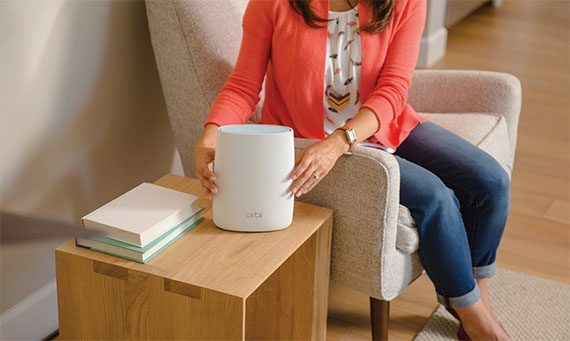 The Linksys Velop and the Netgear Orbi are two of the most popular networking devices to be released the last couple of years, both the Orbi and Linksys Velop targeting the same audience (the people who own a larger home, where it is close to impossible to cover every spot with that sweet WiFi), but each of these WiFi systems has implemented a very different approach. 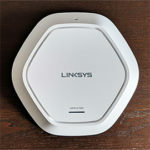 The Linksys Velop aims to change the way the previous wireless mesh systems operated, by adding a new 5GHz radio for a better load balance and a better backhaul handling, while the Netgear Orbi actually challenges the whole concept of the wireless mesh, by taking the traditional router + satellites approach and making huge improvements into its functionality (no more halved speeds) by once again, adding an additional 5GHz radio, but this time especially dedicated only to the backhaul traffic (therefore aiming at bypassing the crippling performance of a generic wireless extender). The article was UPDATED on 04.23.2018 to highlight the improvements that both manufacturers have made with the newest firmware updates: Netgear Orbi has been updated to the v2.1.3.4 (which recently got out of the beta stage) and Linksys Velop to the v1.1.2.187020 firmware (which mainly further improves the backhaul topology). 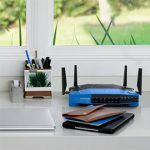 The emergence of these two systems shows the increased interest towards the wireless home systems, instead of the good ol’ single unit router, but, of course, Linksys and Netgear are not the only players in the field. The dual-band Google WiFi has proven to be successful into its simplicity and the older Luma, Eero first generation and Ubiquiti AmpliFi HD have evolved a lot from their initial release and can provide stable networks and a reasonable throughput (Eero has actually entered the tri-band realm with its new second generation WiFi system). That being said, let’s see what are the main differences and similarities between the Linksys Velop and Netgear Orbi and see which approach to a WiFi system is the best. Note: You can check the full review of Linksys Velop and the full review of Netgear Orbi. The Linksys Velop follows a similar design style as the Netgear Orbi, both systems featuring taller-than-average router units, made of white plastic and covered by a matte finish (so it won’t retain any fingerprints). The first significant difference is of course, the shape, but also the role of each device in the kit. The Linksys Velop comes as a one unit, two-unit or three-unit kit, while the Netgear Orbi is also so far available as a one router, as a router and a satellite or as a router + two satellites. The satellite label should give it away that the Netgear Orbi does not in fact have identical units, but a main router with its satellites and to help you tell them apart, the top of the router is covered by a light-blue colour. 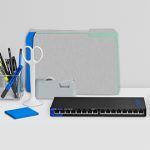 The Linksys Velop is a mesh system, so all of the routers (also called nodes) are identical and have the same role (you can connect any unit to the Internet and use the others as nodes). In terms of aesthetics, I can’t really choose a favourite, since the Velop has its flair with its rectangular mini-tower design, but the Orbi is not that far off, with the oval shaped body (which closely resembles an air-freshener). 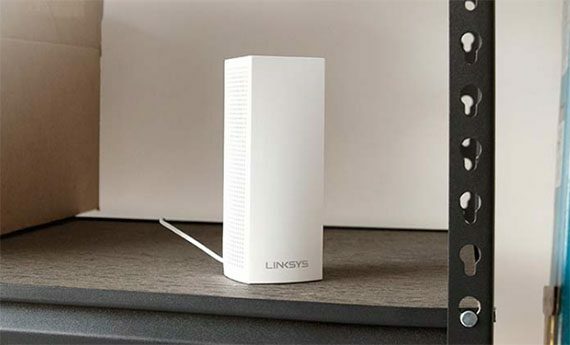 The Linksys Velop has a smaller footprint than the average router, while also being taller (it measures 3.1 x 3.1 x 7.3 inches) and because it is fairly lightweight (1.08 lbs), you shouldn’t put it near a highly trafficked area, since it is easy to accidentally hit it off the table. 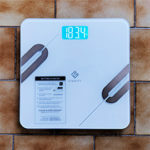 The Netgear Orbi find itself in the same situation, being slightly taller than the Velop, while having an even narrower footprint (6.67x 2.36 x 8.89 inches), but it is almost twice as heavy (1.96 lb), so that makes it on par with the Velop in term of stability. Furthermore, both routers have rubber pads on the bottom side to keep them from budging. The case of the Linksys Velop seems to be well ventilated, with lots of puncture holes on two lateral sides and on the top, so, as always, Linksys likes to ensure a proper airflow on all of its devices. 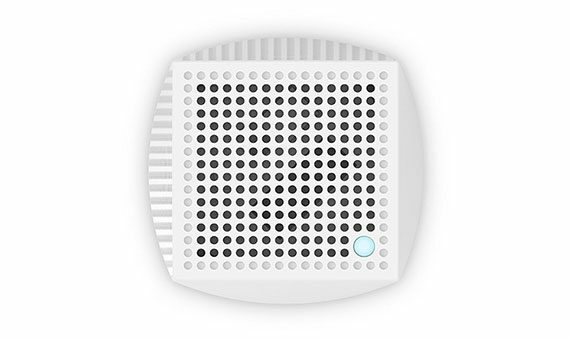 Netgear, on the other hand, did not break the design continuity of the Orbi and was a bit more conservative with the vent holes placement (a few can be found near the ports, on the back and there are some larger grills on the bottom). This made me a bit worried about the prospect of overheating, but, so far neither the router, nor the satellite have gotten hot, so the heat distribution seems to be fine. One other thing that these two WiFi systems have in common is the use of a LED which shows the status of the device and the network by displaying different colours. The Velop has a small round LED on the top which will be blue if everything is working properly, will blink a purple colour when the node has paired with the app and at the moment it becomes solid purple, the setup process can be initiated. Additionally, the LED is flashing a red colour if the router lost the connection to the main node, while solid red signifies a complete loss of Internet connection (if the node is placed too far, then the LED will be solid yellow). The Netgear Orbi also uses a top LED to show the status of the network, but be aware that the colours differ in meaning on the router and on the satellites: if the LED is turned Off, then the router is working properly and if the LED is solid magenta, then the unit can’t connect to the Internet; the satellite LED will also be solid magenta if it failed to sync to the router unit, while a turned Off LED signifies a successful synchronization; the satellite LED will become blue for about 3 minutes when the connection is good between it and the router, but will turn amber for 3 minutes if the connection is fair. I see that using a single LED light with different colours to show the status of the system is becoming the norm nowadays and it’s understood since devices tend to become more simple to use and with a minimalistic interface, but, I don’t see the point of using different colours instead of the old array of LEDs, simply because I find it counter-intuitive and I doubt anyone would understand what’s going on without a note with instructions (I would vouch for a voice confirmation though). 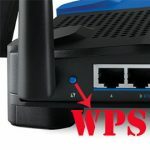 On the bottom of the Linksys Velop, you can find a couple of Gigabit (10/100/100) Ethernet ports (the node which will connect to the cable modem, will use one port as WAN, while the other as LAN; the rest of the nodes will use the two ports for LAN), a Reset button, a Power port and a Power switch. The Netgear Orbi is better equipped in this sense, sporting four LAN Gigabit ports on the bottom-back side (the Orbi router connects to the Internet using the first LAN port, while the other three ports remain for LAN use; the satellite unit has four LAN ports), a Sync button, a USB port (non functional, so far), a Power connector, a Reset button and a Power switch with a LED on top of it. 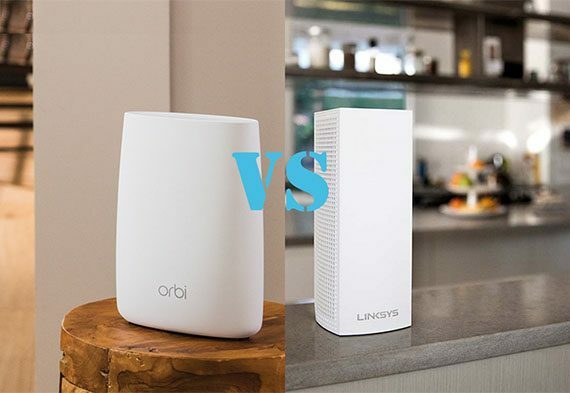 Verdict: In terms of design, both the Linksys Velop and the Netgear Orbi have a similar minimalistic design, both are elegant enough to be placed in a living-room, but the Netgear Orbi has two extra LAN ports, which translates into additional wired devices that can be connected to the network, so it wins this round. 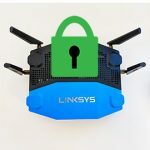 Linksys equipped every Velop node with a quad-core Qualcomm IPQ4019 chipset, 512 MB of RAM, 4GB of flash storage (Samsung KLM4G1FEPD) and a QCA8072 Switch chipset. The Netgear Orbi is equipped in a similar way, also being built on the Qualcomm Atheros platform (uses the same quad-core IPQ4019 chipset) and, along with the Velop, it uses the new Qualcomm’s SON technology (Self Organizing Network). Besides the chipset, the Netgear Orbi also has 512 MB of RAM (NANYA NT5CC256M16DP-DI) and 4GB of flash memory (Samsung KLM4G1FEPD-B0310 eMMC). 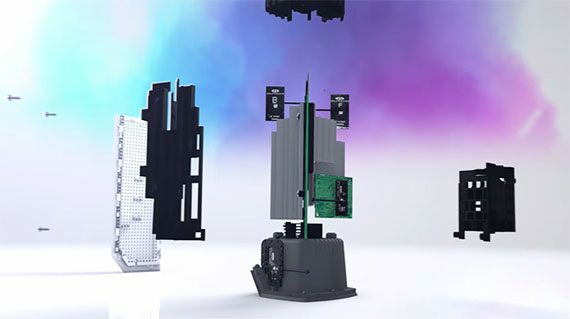 The Linksys Velop is set to work as a hub for the smart home devices some time in the future, so it has a built-in Silicon Labs EM3581 SoC, therefore it supports the ZigBee technology. The Netgear Orbi does not have this functionality but, along with the Velop it features the Bluetooth wireless technology standard. The maximum theoretical data transfer rate of the Linksys Velop is 400 Mbps if it’s using the 2.4GHz radio band, while the maximum theoretical data transfer rate of each of the two 5Ghz radios is 867 Mbps (adds to 2,134 Mbps and it is rounded to 2,200 Mbps). 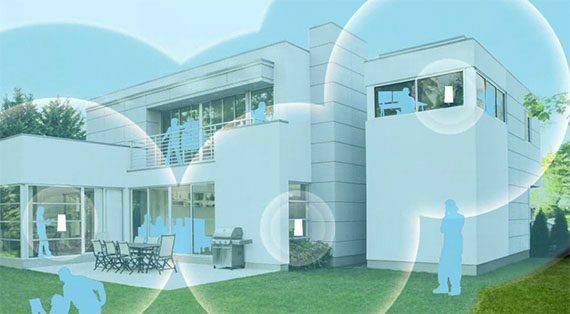 The maximum theoretical data transfer rate of the Netgear Orbi is also 400 Mbps while using the 2.4GHz radio and 867 Mbps using the first 5GHz radio band. The second 5Ghz radio is dedicated for the backhaul traffic and can reach a theoretical maximum of 1,733 Mbps (which adds up to the advertised 3,000 Mbps). Verdict: Since the difference between the real wireless capabilities of each system will be seen in the performance section (the maximum theoretical data transfer rate is just that, theoretical, and it never shows the real capabilities of a router – be aware that manufacturers tend to inflate the numbers on the package just to attract more customers) and since every unit of the Netgear Orbi system and that of the Linksys Velop are very similarly equipped, this round is a tie. The Linksys Velop is among the first to join the wireless mesh network systems (along with Google, Eero, Luma and TP-Link Deco M5) and, since every Velop device is a tri-band 2×2 router, it can (and does) outperform every other dual-band system from the competition. 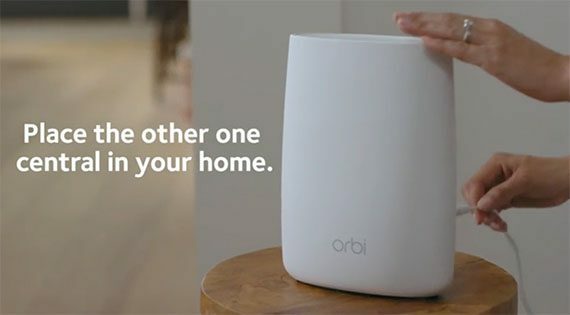 The Netgear Orbi is also a WiFi system and, while before it did not use the mesh network approach, instead favouring a main unit + satellites technique, it has recently allowed satellite communication (daisy-chaining), so it functions in a similar manner as Linksys Velop. Even if the Orbi satellites are now communicating with each other, there are still some differences of implementation, so let’s have a closer look at which took the best route. The first significant hint that the Velop is a mesh system, is the fact that all three device (also called nodes) in the kit are identical (it’s not a rule though, as can be see with the Ubiquiti UniFi or the new generation of Eero), which means that any of the units can be connected to an Internet source (such as a cable modem). Furthermore, the next node will connect to the main Velop router, while the third can connect to either the first or the second node (depending on the signal strength, distance between them, the number of connected devices and so on). If you add the fourth node, it will again connect to the most suitable node (based on the same aforementioned factors) and the same will happen if you add more nodes to the network. This highlights one of most important properties of a mesh network: the ability to find the best route for the data. That’s right, if you have more than two nodes, the data will be transmitted and received through the best route possible, using the least crowded and the smallest number of node possible. Another important property of a mesh network is the self-healing ability, so, in case a node fails or goes offline, the system scans for the active nodes and re-routes the data through the other remaining units (by, again, examining the nearby nodes and, depending on the distance, signal strength and some other factors, it chooses the best alternative). The biggest problem that any mesh network suffers is the increased latency and the handling of the backhaul traffic which inevitably slows down the network with every added node. Choosing the tri-band approach is definitely a step in the right direction from Linksys, since, more radios translate into more bandwidth for the backhaul and a latency kept in check. Of course, since there are three radio bands, a dedicated 5GHz radio for the backhaul is the better idea and people can experience a better throughput, at least for the first two nodes. While Linksys doesn’t have a specific ‘powerful’ 5GHz radio dedicated for backhaul, it allows any of the three radio bands to become the ‘dedicated’ radio for the backhaul traffic at any given time, depending on a number of factors (distance, signal strength and more), so the clients would, theoretically get the best performance. 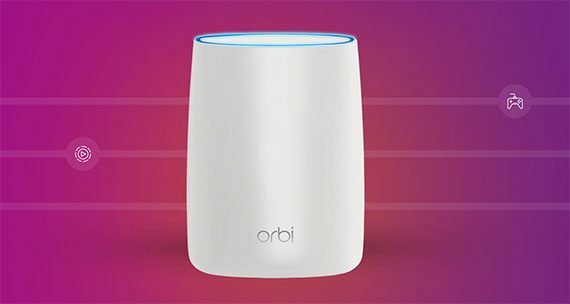 Now, the Netgear Orbi also has more than one unit (the main kit has a router and a satellite, but you can also get more add-on extenders) and after a series of firmware updates, you can now create a mesh-like WiFi system (instead of using just the star topology, it allows daisy-chaining), therefore, you get the main router connected to the modem (it’s best to keep it near the middle of the house or the area you want to cover) and the first set of satellites just ‘gravitate’ around it. If you need more space to be covered, you can add a new satellite at a greater distance from the main unit (to avoid any connectivity issues, it is advisable to keep the new satellite outside the range of the router unit) and allow it to communicate with the nearest satellite in order to reach the first Orbi router. So far, this is nothing we haven’t seen before, because the router + extender setup has been a good way to recycle an older router and cover a specific zone where the WiFi could not reach (and the mesh approach has now become less exotic). But, Netgear improved the formula when it added a dedicated backhaul 5GHz radio. In the ‘old days’, when you would connect an extender to the router and you had one channel available for both backhaul and the clients, it was not uncommon to experience more than a 50% cut from the available bandwidth. Since the new radio is dedicated to the backhaul, you will experience no such loss when connected to the first satellite (as expected, as you add more satellite add-ons, the wireless performance will decline). One feature that the Linksys Velop has, but Netgear decided to not include into its Orbi is the Ethernet backhaul, something that can make a difference if you need to handle a high number of clients over a larger area (it is a very requested feature, so it may come up with a future update). These are the main differences, but there are also some other common features that both of these systems share. 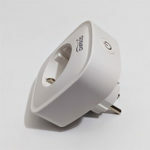 First of all, with the newest updates from Netgear, the Orbi system can now take advantage of the Ethernet backhaul, but, as with almost every new added feature from Netgear, it seems that it is still in beta stage – it can cause broadcast storms, so it has the potential to destabilize the entire system, but the manufacturer has a new update on the way (called v2.2 beta) which apparently fixes this issue and more and more users have confirmed that their Orbi has been running stable since they installed the new update and, initially, this new feature had the potential to destabilise the entire system (and it did for a lot of users), but it seems that with the latest firmware update, things are looking a lot better and the Ethernet backhaul seems to be working fine along with the other features (with only a few users experiencing occasional disconnects). 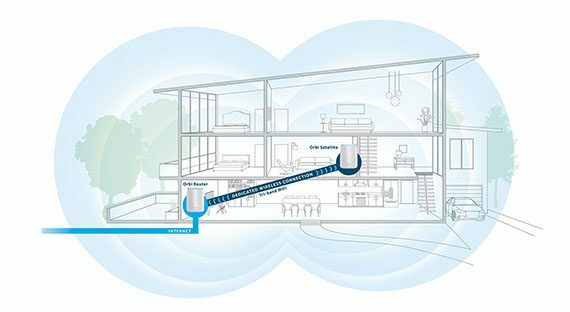 Linksys Velop has included the Ethernet backhaul feature a lot sooner and it is a lot better implemented. 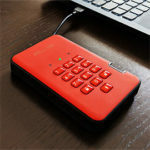 Another common feature is the MU-MIMO technology (Multi-User Multiple Input Multiple Output), which has the role of serving multiple clients at the same time, instead of letting them compete for the bandwidth (the one-at-a-time technique). 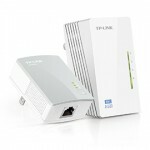 The nodes and the router+satellite units use the MU-MIMO technology to connect to each other, but, when it comes to clients, you may notice that there aren’t many devices that come equipped with a MU-MIMO wireless adapter (there are some which are either 1×1 or, at best 2×2 – such as the newer flagship smartphones). This shows that the MU-MIMO is definitely a cool feature to have, but it does not offer much at this moment, since it’s not really wide spread (for me, it’s just a way to inflate the numbers on the box, but that may change in the future). I am really interested to see how Eero Pro ( 2nd generation) compare to Velop and Orbi. Eero Pro has auto-sensing Ethernet backhaul but I am not sure whether the backhaul radio is assigned to the client if Ethernet is used. They are pretty expensive systems. I am wondering whether to go with something like Ubiquiti UniFi UAP-AC-PRO which is basically better and cheaper option if you are able to use wired backhaul. Something is up because the Velop absolutely has a dedicated radio for back channel that is not shared with clients. You can see this clearly in their support materials and forums. Re: What happens to the 5GHz backhaul if the Velops are connected via Ethernet? Sorry I misunderstood. No the backhaul radios are only for backhaul purposes, they do not get reassigned to clients. Hi Janon, I have contacted Linksys on this matter and will let you know as soon as they respond to my inquiries. 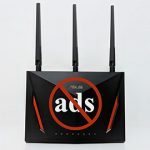 From what I saw when I tested the device, it is unlikely that they have a 5Ghz dedicated radio since the speed performance was below what I would expect to see on the second node, but indeed, there are some conflicting info on the web and I will let you know what is the correct information as soon as possible. I talked to Linksys and they have confirmed that there is no dedicated backhaul band, but the Velop dynamically chooses one radio band for the backhaul traffic, while the two remaining bands are going to be used for client connection (for example, if the second 5GHz radio band will be used for backhaul, the clients connected to that radio will be pushed to the other remaining radio bands). So, now that everything is a lot more clear, I will make the necessary corrections to the article. Nice review. Thanks for the thoroughness. I just set up an Orbi system in a 2000 square foot, 2 story home. My router sits in a corner of the house and my system is DSL. I get around 45 mb on the ethernet and had about half that at the fastest on my old router at about 20 feet. The Orbi is a big improvement on wireless, hitting about 2/3rds of ether net, even through the satellite and also in the basement, below the sat. Like many homes, I have run cat5 to other locations, so the Velop would be able to take advantage of backhaul over ethernet. I think that would be a big advantage to someone in a large, modern, ranch house that has been wired. For a smaller home like mine the Orbi rocks so far. 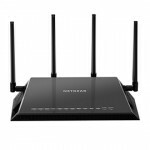 One other factor is that the Linksys comes with a three year warranty, while the Netgear is just a year. That could be significant in something this expensive. If Netgear adds backhaul over ethernet I would give it the edge, and maybe an extended warranty. The extra ports on each unit could be very handy.